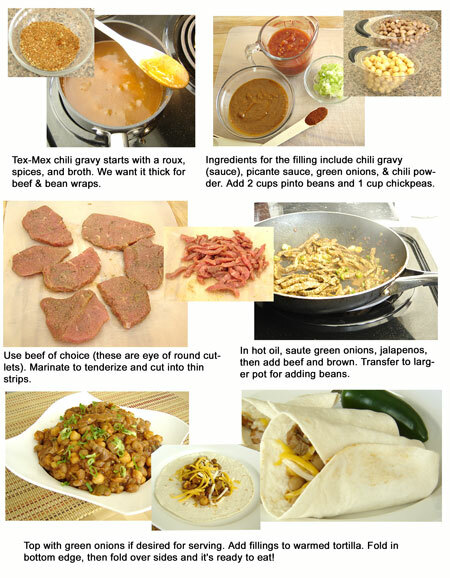 Here’s a hearty Tex-Mex dish that you can make in a hurry or go all-out and feed a crowd. It has all the best in Mexican ingredients: pinto beans, salsa, and tortillas. For the “Tex” side, there’s beef and the chili sauce, or gravy. When you see this brown sauce on any plate, you know you’re north of the border and south of the Red River. It’s about as “authentic” Tex-Mex as you can get. Without it gracing an entree at a restaurant, food just isn’t the same. This time, though, we’re blending the chili gravy into our mix. 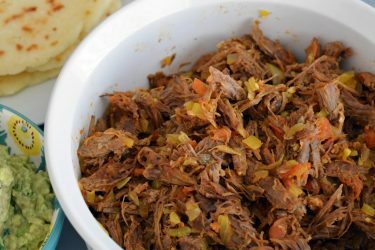 With the gravy recipe below, you’ll have the perfect topping for your next Tex-Mex meal. We’re also giving the cutlets an overnight marinade that includes soy and lime juice. The flavor blend is great for sauteing, grilling and broiling. 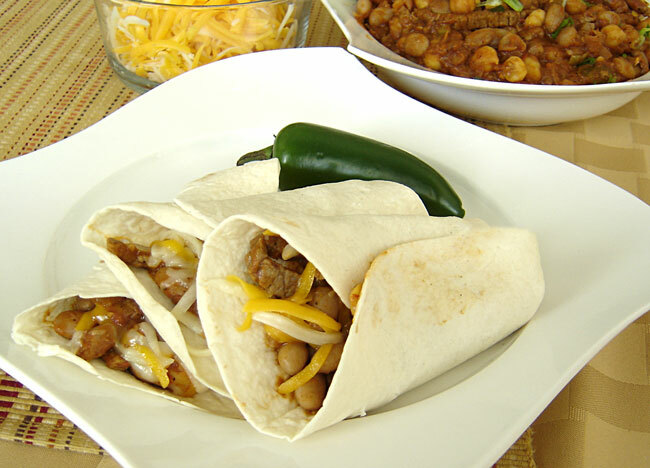 To make it all easy for a quick family meal, use canned beans and chickpeas, which are distinctively tasty additions. A jarred salsa is better than fresh. Store-bought tortillas work just fine, too. For a crowd, nuke tortillas in the microwave. If you’re cooking for just a few, crisping them up in a lightly oiled skillet is even better. I started with dried chickpeas and pintos, prepared the entire bags, and froze the remainder after they’d cooked. Let’s start with the marinade for our meat. This recipe calls for seven thin cutlets – eye of round in this case. You can substitute as you wish and adjust the marinade accordingly. 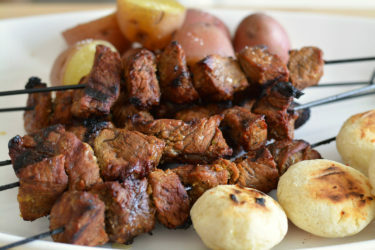 Place meat in a plastic baggie or bowl. Coat with dry ingredients, then add the wet. toss well and refrigerate for several hours. –Heat olive oil in a skillet. Add green onions and jalapenos and saute until softened. –Transfer to a pre-heated larger pot and add the remaining ingredients. Let simmer until ready to serve. 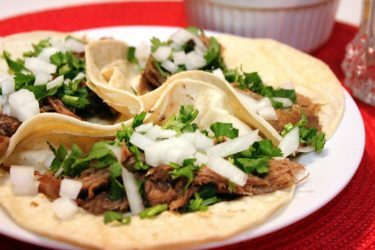 –Warm the tortillas, fill them with the beef and bean mix, top with grated cheese, and fold closed. Serve with sides of choice. –Add the dry ingredients and stir to blend. –Warm the chicken broth and slowly add in as it continues to thicken. –Keep at a simmer for 10-15 minutes. Doubling the above chili sauce recipe will yield 1 cup. Add more broth or water to reduce thickness.